“Red Alert” sirens heard in Ashkelon and Hof Ashkelon Regional Council. One rocket from Gaza intercepted by Iron Dome. “Red Alert” sirens were heard overnight Sunday, shortly after 3:00 a.m., in the city of Ashkelon and the Hof Ashkelon Regional Council. 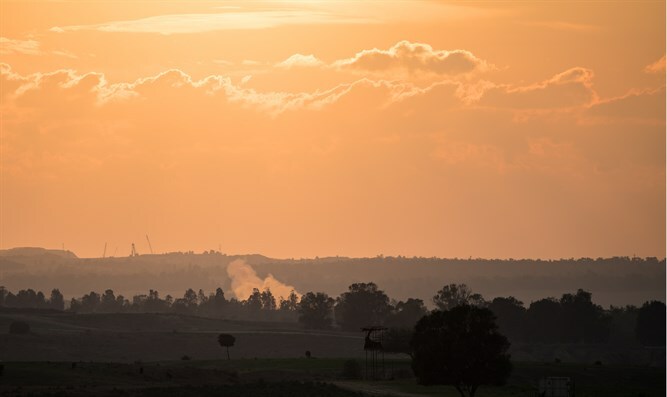 The IDF Spokesperson's Unit said that a rocket launch from Gaza into Israel was identified and intercepted by the IDF’s Iron Dome Aerial Defense System. On Sunday afternoon, IDF helicopters opened fire on Hamas posts in Gaza, in retaliation for the launching of balloon bombs into Israeli territory earlier on Sunday. According to the IDF Spokesperson, Hamas terrorists operating out of Gaza launched the balloon bombs into Israeli territory using a model airplane, which carried the makeshift explosive device attached to balloons into Israeli airspace. “Earlier today, an explosive device attached to multiple balloons was launched on a model airplane from the Gaza Strip into Israeli territory,” the IDF said Sunday. In late December, a cluster of balloons tied to an incendiary device landed next to a kindergarten in southern Israel near Gaza. That incident was the first of its kind in weeks, but earlier in 2018, tens of thousands of balloons and kites carrying incendiary devices were launched from the Hamas-ruled Gaza Strip towards Israeli territory, causing millions of dollars in damage to Israeli agriculture in border communities.